The Russian President was referring to the Deveselu facility that officially became operational in May after nearly a decade and $800 million of planning and construction. “At the moment the interceptor missiles installed have a range of 500 kilometers, soon this will go up to 1000 kilometers, and worse than that, they can be rearmed with 2400km-range offensive missiles even today, and it can be done by simply switching the software, so that even the Romanians themselves won’t know,” said Putin, who is in Greece for a two-day tour. “We have the capability to respond. The whole world saw what our medium-range sea-based missiles are capable of [in Syria]. But we violate no agreements. And our ground-based Iskander missiles have also proven themselves as superb,” continued Putin. Russia’s political and military leadership has repeatedly spoken out against the missile defense shield since it was proposed during the George W. Bush administration, and Putin reiterated that Moscow does not believe the European part of it is targeted against a potential threat from Iran. Alexis Tsipras in his turn reiterated that Russia is a player in the European security theater and that current attempts to alienate Moscow with measures such as sanctions reminds him of Cold War times. President Putin arrived in Greece on Friday for a two-day visit that involves meetings with his Greek counterpart, Prokopis Pavlopoulos, Prime Minister Alexis Tsipras, and other top-level discussions. It is the Russian president’s first EU trip in seven months, and comes just weeks before Brussels decides on whether to extend EU sanctions against Russia. Bilateral trade and investment, as well as joint energy and transport projects, were said to be major issues on the agenda for the visit. Another pressing matter for both Athens and Moscow, the economic sanctions against Russia, will also be on the table. Prime Minister Tsipras has already told RIA Novosti that the restrictions have had a negative impact on Russian-Greek economic ties, but added there are areas not covered by the sanctions where business between the two countries could perform well. The Greek PM laid a foundation of trust with the Russian leader and even proposed a visa-free travel regime in the EU for Russian nationals. “We overcame all the difficulties that arose due to changes in the issuance of Schengen visas, strengthened the work of our consulates in Russia by attracting dozens of new employees, and we are ready to meet the high demand of Russian nationals for travel to Greece. At the same time, I find it necessary, as I have already mentioned at a European level, that dialogue is relaunched on easing the visa regime for Russian citizens,” Tsipras said. Promoting international security and tackling illegal migration, which is the hot issue in Greece, are also points of mutual interest. On Saturday, President Putin will attend a prayer service at Mount Athos, which is home to 20 monasteries and is an important spiritual site for Orthodox Christians. Joined by Patriarch Kirill, leader of the Russian Orthodox Church, the president is expected to take part in millennial celebrations of the Russian monastic presence on Athos. Mr. Wolfgang Ischinger included in the agenda the topic of “the collapse of world development”. It is impossible not to agree that the events unfolded not by the optimistic scenario. But you cannot accept arguments of some of our colleagues that a sudden, rapid collapse of the world order, which existed for decades, had occurred. On the contrary, the events of the past year have confirmed the validity of our warnings regarding deep, systemic problems in the organization of European security and international relations in general. I would like to remind about the speech by President Putin spoken here eight years ago. The design of stability, based on the UN Charter and the Helsinki principles was long ago undermined by the actions of the US and its allies in Yugoslavia, Iraq, Libya, by NATO expansion to the East, the creation of new lines of separation. The project of building a “common European home” failed because our partners in the West were guided not by the interests of building an open architecture of security with mutual respect for interests, but illusions and beliefs of the winners in the “cold war”. Solemnly adopted in the framework of the OSCE and the Council of the Russia-NATO obligation not to provide own security at the expense of security of others, remained on paper, but in practice was ignored. The issue of missile defense is a stark evidence of the powerful destructive impact of unilateral steps in the field of military building, contrary to the legitimate interests of other states. Our proposals for joint work on missile defense issue were rejected. Instead we were advised to join the creation of the US global missile defense system, strictly according to the designs of Washington, which, as we’ve outlined and explained factually, carries real risks for the Russian nuclear deterrence. Any action that undermines strategic stability, inevitably entails response measures. Thereby a long-term damage is inflicted to the entire system of international treaties in the field of arms control, the viability of which directly depends on factors of missile defense. We don’t even understand, what could be the reason for the American obsession of creating a global missile defense system? The desire for unquestionable military superiority? The faith in the possibility to technologically solve the problems that are essentially political? Anyway, the missile threats have not decreased, but in the Euro-Atlantic area emerged a strong irritant, which will take a long time to get rid of. But we are ready for it. Another destabilizing factor was the refusal of the United States and other NATO members to ratify the Agreement on Adaptation of the Treaty on Conventional Armed Forces in Europe (CFE), which buried this agreement. Each difficult situation, created by themselves, our American colleagues are trying to blame on Russia. Take the revived in recent conversations The Intermediate-Range Nuclear Forces Treaty (INF) Specialists are well aware of the actions of the United States, contrary to the spirit and letter of this document. For example, in the framework of the creation of a global missile defense, Washington began a large-scale program of creating missile-targets with characteristics similar to or close to the forbidden ground-based ballistic missiles. Under a contractual definition of ground-based medium-range cruise missiles fall the widely used by the U.S. shock drones. Expressly prohibited by the treaty are the anti-missile interceptors, which will soon be deployed in Romania and Poland, as they can be used to launch medium-range cruise missiles. Refusing to acknowledge these facts, the American colleagues claim they have some “reasonable” claims towards Russia in relation to INF, but carefully avoid specifics. Taking into account these and many other factors, to try to narrow this crisis to the events of the past year, in our opinion, is to fall into a dangerous self-deception. It is the culmination of the course of our Western colleagues over the last quarter-century to capture by any means their dominance in world affairs, to capture the geopolitical space in Europe. The CIS countries, our closest neighbors, connected with us by centuries of economic, humanitarian, historical, cultural, and even family ties, are demanded to make a choice – either with the West or against the West. Is a logic of zero sum game, which everyone wanted to leave in the past. The strategic partnership between Russia and the European Union could not stand the test of strength, because the EU chose a confrontational path of development of the mechanisms for mutually beneficial interaction. How can one not remember the missed opportunity to implement nominated by the Chancellor A. Merkel in June 2010 in Meseberg initiative to establish a Committee of the Russia-EU Foreign and Security Policy at the level of Ministers of Foreign Affairs. Russia supported this idea, but the EU rejected it. But such a mechanism of permanent dialogue (if it was created) would allow to more quickly and effectively solve problems and to remove mutual concerns in advance. As for the Ukraine, unfortunately, at each stage of the development of the crisis our American colleagues, and under their influence – the European Union, took steps leading to escalation. This happened when the EU refused to discuss with Russia the consequences of activating the economic bloc of the association agreement with Ukraine, and then directly supported the coup, and before that – the anti-government riots. This happened when our Western partners have repeatedly issued indulgences to Kiev authorities, who instead of fulfilling the promises of starting a national dialogue, began a large-scale military operation, declaring their own citizens “terrorists” for disagreeing with the unconstitutional change of government and a rampage of ultra-nationalists. It is very difficult to explain why, in the minds of many of our colleagues, the universal principles of settlement of internal conflicts do not apply to Ukraine, involving, primarily, the inclusive political dialogue between the protagonists. Why in cases such as Afghanistan, Libya, Iraq, Yemen, Mali, South Sudan, our partners urge the government to negotiate with the opposition, the insurgents, in some cases even with extremists, and in relation to the Ukrainian crisis act differently, actually supporting the military operation in Kiev, up to attempts to justify the use of cluster munitions. Unfortunately, our Western colleagues are apt to close their eyes to everything that is said and done by the Kiev authorities, including inciting xenophobic sentiments. Let me quote: “Ukrainian social-nationalism considers the Ukrainian nation a blood-racial community”. And further: “The question of total Ukranization in the future social-nationalist state will be resolved within three to six months with strict and prudent state policy.” The author is a deputy of the Ukrainian Verkhovnaya Rada, Andrey Biletsky, the commander of the regiment “Azov”, which actively participates in the fighting in Donbass. For ethnically pure Ukraine, the annihilation of Russians and Jews was repeatedly publicly called by the other figures, who broke into politics and power in Ukraine, including Yarosh, Tiagnybok, and leaders of the Radical Party of Lyashko, represented in Verkhovna Rada. These statements did not cause any reaction in Western capitals. I do not think that today’s Europe can afford to ignore the danger of the spread of the neo-Nazi virus. The Ukrainian crisis cannot be resolved by military force. This was confirmed last summer, when the situation on the battlefield forced to sign the Minsk agreements. It is confirmed now, when another attempt to win a military victory is drowning. But despite this, in some Western countries increasingly there are calls to strengthen support for the course of the Kiev authorities for militarization of society and the state, to “pump” Ukraine with deadly weapons and pull it into NATO. The growing opposition in Europe to such plans gives hope, as it may only exacerbate the tragedy of the Ukrainian people. Russia will continue to seek to establish peace. We consistently advocate for the cessation of hostilities, the withdrawal of heavy weapons, the beginning of direct negotiations of Kiev with Donetsk and Lugansk about specific ways to restore the common economic, social and political space within the territorial integrity of Ukraine. This was the subject of numerous initiatives of Vladimir Putin within the “Normandy” format, which allowed to start the Minsk process, our subsequent efforts for its development, including yesterday’s talks in the Kremlin by leaders of Russia, Germany and France. As you know, these negotiations will continue. We believe that there is every opportunity to achieve results and to agree on recommendations that will allow the parties to really untangle this conflict web. It is important that everyone realizes the real extent of risks. It’s time to get rid of the habit to consider each issue separately, not seeing “the forest behind the trees”. It is time to assess the situation comprehensively. The world today is on a steep fault associated with changing of historical periods. “Birth pains” of the new world order are manifested through the increase of conflicts in international relations. If instead of strategic global vision, prevail the tactical decisions made by politicians with an eye on the coming elections at home, there is a danger of a loss of control over the levers of global governance. Let me remind you that at the initial stage of the Syrian conflict, many in the West urged not to exaggerate the threat of extremism and terrorism, claiming that it will somehow dissolve on its own, and that the main thing – is to bring about regime change in Damascus. We see what happened. The vast territory in the Middle East, Africa, the Afghanistan-Pakistan area became uncontrollable by legitimate authorities. Extremism overflows to other regions, including Europe, aggravating risks of proliferation of WMDs. The situation in the Middle East settlement, in other areas of regional conflicts is gaining an explosive nature. An adequate strategy for containment of these challenges is still not developed. I would hope that today’s and tomorrow’s discussions here in Munich will bring us closer to estimating the level of the efforts to find collective answers to common threats. The conversation, if you count on significant results, can only be equal, without ultimatums and threats. We remain convinced that the whole complex of problems would be much easier to solve if the major players have agreed on strategic orientations of their relationship. Recently, the permanent Secretary of the French Academy, Hélène Carrère d’Encausse, said that “the real Europe may not exist without Russia”. We would like to understand if our partners share this view, or do they plan to continue the course of deepening the division of the European space and setting its fragments against each another? If they want to create a security architecture with Russia, without Russia or against Russia? Of course, our American partners should answer this question. We have long proposed to start building a common economic and humanitarian space from Lisbon to Vladivostok, a space based on the principles of equal and indivisible security, which would include the members of integrated unions, and other countries which are not part of those unions. Of particular relevance is the establishment of robust mechanisms for interaction between the Eurasian Economic Union (EEU) and the EU. We welcome the emerging support of this idea of responsible European leaders. In the year of the 40th anniversary of the Helsinki act and the 25th anniversary of the Paris Charter, Russia would like to infuse these documents with real life, to prevent replacing of the principles, enshrined there, to ensure the stability and prosperity throughout the entire Euro-Atlantic space on the basis of genuine equality, mutual respect and consideration of each other’s interests. We wish success to the “group of the wise”, formed in the framework of the OSCE, which must reach a consensus in their recommendations. Marking the 70th anniversary of the end of the Second World War, we should be aware of responsibility that rests on all of us. Question: I understand all the above-mentioned problems in relation to the United States and missile defense. Besides the fact that according to the INF, Russia equals drones to cruise missiles, I would like to note that the US President B. Obama had significantly reduced European missile defense. If there are problems in relation to the United States, why should Ukraine pay for it? Referring to the annexation of Crimea and attempts to divide Ukraine. What did the poor Ukrainians do that you punish them for the sins of the Americans? Lavrov: I understand that you have, of course, a twisted perception. Don’t confuse apples and oranges. Now they say “we will resolve the Ukrainian crisis, and the whole system of security and stability will start working on its own.” On the contrary. The crisis needs to be resolved, it is the first priority, but we cannot ignore the fact that all the agreements concluded by the end of the “cold war” are not followed. We have no desire to seek revenge, especially at someone else’s expense. We want to have normal relations with the United States. It was not us, who destroyed the deployed mechanisms which have been established in recent years and which provided daily contact and mutual clearing of concerns. It was not us who pulled out of the Missile Defense Treaty. It was not us who refused to ratify the adapted CFE Treaty. Now we need to collect bit by bit what we still have left and somehow based on the reconfirmation of the Helsinki principles to negotiate a new security system, which would be comfortable for everyone, including Ukraine, Georgia, Moldova – all whom our American colleagues had put before a choice: to go towards the West and to reduce cooperation with Russia. It is a fact. I am aware that American ambassadors around the world receive such instructions. I see here A. Vershbow, who recently gave an interview, calling NATO “the most peaceful bloc in the world” and “the hope of the European stability and security.” And who bombed Yugoslavia, Libya, in violation of UN Security Council resolutions? The achievements brought by unilateral actions we are seeing now in the Middle East. We want NATO to not be just an exemplary organization, which it is presented as, but a participant in equal dialogue for stability. What’s wrong with that? Everyone wants us to recognize a subordinate role of all others in relation to the United States and NATO. I don’t think it is in the interests of world peace and stability. With regard to the events in Ukraine, the U.S. President Barack Obama recently said openly that the United States was the broker in the process of transition (transit) of power in Ukraine. Modest formulation, but we know very well how it happened, who openly discussed on the phone the composition of personalities that should be represented in the new Ukrainian government, and much more. We know what happens now, who routinely monitored events on Maidan. There were no our military specialists and experts. We want very much for the Ukrainian nation to regain its unity, but it must be done on the basis of real national dialogue. When the central government decided to celebrate as national holidays the birthdays of Stephan Bandera and Roman Shukhevych, the date of formation of the “Ukrainian Insurgent Army”, the question arises – how can these holidays be celebrated in the East of Ukraine? There is no way. And the West does not want to celebrate May 9th [Victory over Hitler in the Great Patriotic War -tr.]. Without mentioning other specific features of the Ukrainian society, just this requires some political arrangements. They are probably embarrassed to say it here, but now Ukraine is undergoing mobilization, which is running into serious difficulties. Representatives of the Hungarian, Romanian minorities feel “positive” discrimination, because they are called up in much larger proportions than ethnic Ukrainians. Why not talk about it? Or that in Ukraine reside not only Ukrainians and Russians, but there are other nationalities which by fate ended up in this country and want to live in it. Why not provide them with equal rights and take into account their interests? During the elections to the Verkhovnaya Rada the Hungarian minority asked to organize constituencies in such a way that at least one ethnic Hungarian would make it to the Rada. The constituencies were “sliced” so that none of the Hungarians made it. All this suggests that there is something to discuss. There are real problems that don’t allow the Ukrainian state to get out of this severe crisis, but they are ignored in the West. I have talked to many, including those sitting here, when they introduced a law on lustration. One-on-one I was told that this is a terrible law, which urgently needs to be cancelled. I asked why this is not talked about publicly, and heard that there is an understanding that it is necessary to support the Ukrainian government, and not to criticize it. What else is there to say? I hope that yesterday’s efforts made by the presidents of France, Russia and the Chancellor of Germany, will produce a result that will be supported by the parties of the conflict and will actually calm down the situation, starting the much-needed national dialogue on ways to solve all the problems – social, economic and political. Question: Going Back to the results of yesterday’s talks in Moscow and the day before yesterday in Kiev, the good news is that the Minsk agreement is still on the agenda, but the bad news is that not all the signatories of these agreements agree to comply with them. Meaning the representatives from DPR and LPR are leading an offensive, artillery fire, etc. The Russian Federation also signed the Minsk agreement. Now there are attempts to revise the line of contact. There is no pressure on the militia, although Russia recognized that it can exert such pressure. Do you actually plan to implement the Minsk agreement? What guarantees of the implementation of all 12 points of the Minsk agreements and pressure on DPR and LPR can you give, as Minister of Foreign Affairs of the Russian Federation? Lavrov: As soon as the main participants of the Minsk process – the Ukrainian authorities and representatives of the proclaimed republics of DPR and LPR – will reach an agreement on all practical aspects of implementation of each of Minsk points, I am convinced that Russia will be among those who will provide such guarantees – whether in the OSCE, or in the UN Security Council. I am convinced that Germany, France and other countries will also be able to provide such guarantees. But you can guarantee only what has been done and achieved. You have to agree directly. We should not pretend that these people will obey [Russia] unequivocally. They live on their own land and are fighting for it. When people say that they would not be able to provide superiority on the battlefield, I will say that theirs is a just cause. And Ukrainian soldiers don’t understand why they are thrown to battle. I repeat, direct negotiations are needed. Once the US Administration was criticized for the fact that it actively maintained contacts with the Taliban via Doha (Qatar). In response to criticism the administration asked, why criticize: “Yes, they are enemies, but one does not negotiate with friends. Negotiations are held with the enemies”. If the Ukrainian authorities consider their citizens – enemies, they will have to negotiate in any case. Our Ukrainian colleagues should not hope that the blind support, they receive from the outside, will solve all the problems. Such support without any critical analysis of the events is spinning some heads. Just as in 2008, it spun the head of Mikhail Saakashvili. Everyone knows what came of it. This is a rough translation via Google — I hope to update with a better translation soon. Foreign Minister Lavrov: We have an extensive network existed bilateral arrangements between Russia and NATO in the NATO-Russia Council, where the military daily contact with each other, had a special meeting of experts from capitals, there were many joint projects to combat terrorism, collective project to develop explosives a detector «STANDEX». Additional area points of, and was a project on training for Afghanistan’s security services, equipment this service helicopters. There was also a project «Common airspace initiative» (joint initiative on the safety of air space). Now all this is “frozen”, although under these arrangements was quite possible to agree on how to avoid dangerous military activities. With specific regard to the theme of activity of the Air Force, we have the relevant statistics, which shows that the activity on the NATO side has increased immeasurably more than on the side of Russia. In my opinion, at the end of Jan. our Permanent Representative to NATO Alexander Grushko met with Secretary General Jens Stoltenberg on the subject and gave him «fact-sheet» outlining ongoing contact statistics. We are open to reconstruct the mechanisms of interaction, but for the time being, they are all frozen. There was only the Permanent Representatives Council (the Council of Ambassadors) meetings which are held infrequently. Everything else is closed. Now even the following problems arise. Apparently, our NATO colleagues want to reduce the physical presence of Russian diplomats in Russia’s permanent mission to NATO. To us restricted access to headquarters, where there is our premises. Perhaps this will promote additional the appearance of “dark spots” in our relationship and will not help to clarify each other’s intentions. Question: You said that you want to define the general principles of European security. I am afraid that the principles of the EU are based on self-determination and does not correspond to the Russian principles. Do you believe in the sphere of influence, as he said Dzh.Kennon about 60 years ago, many of Russia’s neighbors must choose between being enemies and satellites. In view of the incompatibility of our values what the general rules are possible? Five years ago, Medvedev proposed the concept of a new European security architecture. It did not work, because Russia has a strong influence on its neighbors. Do you see a way out of this situation? Is it possible a compromise between Russian and European approaches to building security in Europe? Lavrov: Perhaps you did not listen very closely. It was not that the necessary to develop new principles. I said that it is necessary retraining the principles contained in the Helsinki Final Act, the Charter of Paris, in the documents of the NRC, but this time to confirm with honesty/integrity. And most importantly – give them a binding form. You quoted Dzh.Kennon [George Kennan? Footnote 1 belw]. I can quote another of his statement that the “cold war” was a colossal mistake which the made the West. No need to invent anything new. You just have to sit down and honestly and then faithfully fulfill what agreed a couple of decades ago. Question: I agree with you that in the last 25 years, not everything was perfect. We had a lot of disagreements with Russia. We almost signed a partnership agreement aimed at modernizing Russia’s economy – and this is just one example. I believe that we have created such a scheme in Europe, which ensures the territorial integrity and sovereignty of States. Both of these principles have been violated, and we must recognize that Russia is a party to the conflict in Ukraine. We can overcome this crisis only if we properly analyze the political situation in the country. Your description of the situation in Ukraine is unacceptable. There was an agreement with Viktor Yanukovych, approved by the parliamentary majority. Elections were held, in which 80% voted for the European course. Nationalists, communists and fascists received 2-3% of the vote. That’s what the real situation from which to draw on. In the twenty-first century there should not be grounds for a violation of the principles of sovereignty and territorial values enshrined in Helsinki. The principle of sovereignty is that every nation, including Ukraine, has the right to decide which country to enter into trade agreements. If the next state is trying to control this choice, it is a return to the old policy, and violation of the principle of sovereignty, which currently takes place in Ukraine. Foreign Minister Lavrov: I am sure that your performance will be a good story on television. There are international rules that, in fact, sometimes treated differently, different actions receive the opposite interpretation. In Crimea, something happened that is provided by the UN Charter – self-determination. In this document, there are several principles and the right of nations to self-determination stands on a key point. Read the Charter! Territorial integrity, sovereignty is obliged to respect. The UN General Assembly adopted a declaration in which they clarified the ratio of basic principles of international law. There it was confirmed that the sovereignty and territorial integrity inviolable and the countries that pretend to respect their sovereignty, have to respect the right of living in these countries and nations do not allow the prevention of self-determination by the use of brute force. According to you, in Kiev, there was just something for the entire implementation of the agreement, which was signed by President Viktor Yanukovych, as there are elections were held. 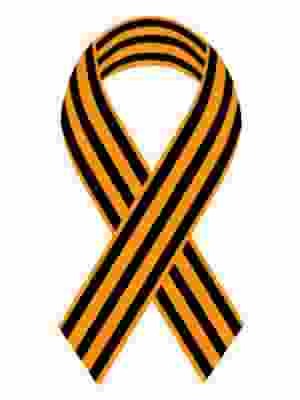 Firstly, the day after the signing of the agreement, regardless of the location of Viktor Yanukovych (he was in the Ukraine), were attacked his residence, the building of the presidential administration, government buildings, in addition to how many buildings and people burned at “Maidan” in the previous period. But in such a way trampled an agreement that witnessed the foreign ministers of Germany, France and Poland (by the way, in the hall there Sikorski, who probably can tell your story), in its first paragraph implied the creation of a national unity government. These are the key words. The goal of national unity can not depend on the fate of a single Viktor Yanukovych. If he is gone, now what – you can seize power by force of arms, and do not care about national unity? But you do not agree with this and rightly so, because it is not permissible. So, it happened instead of a national unity government, which by September had to prepare a new constitution, on which must have been a general election. Here are the sequence of actions. But the starting point -National unity. That’s where you need to build a constitution with the views of the entire country. Instead, when the said agreement has already been consigned to oblivion, Yatsenyuk went to the “Maidan” and announced the creation of a “government of winners.” Then the regions of Ukraine, who have rebelled and began to protest, to organize events, to say that do not accept the results of the coup – they simply began to suppress. First began to arrest the leaders who opposed the coup, and then began to use force. Who attacked whom? Did Donetsk and Lugansk go to storm Kiev? Not at all. In the South-East was sent military groupings by means of which began to try to establish the rule force. Occurs in Ukraine have seen in the Crimea. In the very early stages of the crisis there was an attempt by “Right Sector” to break through and seize administrative buildings. Thank God, there is an isthmus, and people’s guards stood up and did not let them. In Crimea, held a referendum on independence, and later on joining Russia. In Kosovo, there was no referendum, although US President Barack Obama recently stated that Kosovo – is an exemplary case because there people voted in a referendum. The referendum was not there, as well as many other “referendum”. The unification of Germany took place without a referendum, and we were the active supporters of this. When World War II ended, if you remember, the Soviet Union opposed the division of Germany. Speaking about the methods that are used instead of direct dialogue, the trouble is that the current President of Ukraine has lost its monopoly on the use of force. The Ukraine created private battalions paid better than the regular army. These battalions under different names (including “Azov” that I quoted) from the regular army deserted the people. Among those who lead them, there are frankly ultranationalists. We are with you, Mr. E. Brok have long communicate. You even came to Moscow. So my answer to you is very simple. If you want to say angry speeches that will reinforce your position in politics in the European Parliament is one thing, but if you want to talk, let’s sit down and in honesty all Helsinki principles, see why in some cases you do not think that they are violated, and in others – think that it was so. By the way, recently based in Nuremberg Ukrainian credit rating agency «GFK Ukraine» conducted a survey in the Crimea. According to the results of more than 90% said that they supported the annexation of Crimea to Russia, were against 2%, and 3% said they still do not really understand (what is happening). This statistic is people. Here’s a colleague said that the main principle of the EU – is self-respect. Once you have talked about the country, and in this case there was determination of the people, while it was based on centuries history. We can discuss all this, if you really want to understand our position, and we were guided by. About this many times told Russian President Vladimir Putin. You can, of course, to laugh. If just someone from this to have fun. Laughter is also said to prolong life! Rep. Jim Gerlach (Pennsylvania) wrote HR 5859. The Russia Sanctions bill that passed “unanimously,” with no scheduled debate, at 10:23:55 p.m. on Dec. 11, 2014, includes: 1. Sanctions of Russia’s energy industry, including Rosoboronexport and Gazprom. Sanctions of Russia’s defense industry, with respect to arms sales to Syria. Broad sanctions on Russians’ banking and investments. Provisions for privatization of Ukrainian infrastructure, electricity, oil, gas and renewables, with the help of the World Bank and USAID. Fifty million dollars to assist in a corporate takeover of Ukraine’s oil and gas sectors. Three hundred and fifty million dollars for military assistance to Ukraine, including anti-tank, anti-armor, optical, and guidance and control equipment, as well as drones. Thirty million dollars for an intensive radio, television and Internet propaganda campaign throughout the countries of the former Soviet Union. Twenty million dollars for “democratic organizing” in Ukraine. Sixty million dollars, spent through groups like the National Endowment for Democracy, “to improve democratic governance, and transparency, accountability [and] rule of law” in Russia. What brilliant hyperbole to pass such a provision the same week the Senate’s CIA torture report was released. A path for the U.S. withdrawal from the INF Treaty, which went into force in 1988. The implications of this are immense. An entire series of arms agreements are at risk of unraveling. It may not be long before NATO pushes its newest client state, Ukraine, to abrogate the Non-Proliferation Treaty, which Ukraine signed when it gave up its nuclear weapons, and establish a renewed nuclear missile capability, 300 miles from Moscow. A demand that Russia verifiably dismantle “any ground launched cruise missiles or ballistic missiles with a range of between 500 and 5,500 kilometers …”—i.e., 300 and 3,300 miles. Read the legislation, which Congress apparently didn’t. Reallocate more of its approved 2014 budget for military purposes. Put all military operating units on alert. Mobilize military and national guard units. Increase military spending in Ukraine from 1 percent of GDP to 5 percent, increasing military spending by $3 billion over the next few years. Join NATO and switch to NATO military standards. Under the guise of democratizing, the West stripped Ukraine of its sovereignty with a U.S.-backed coup, employed it as a foil to advance NATO to the Russian border and reignited the Cold War, complete with another nuclear showdown. The people of Ukraine will be less free, as their country becomes a “military state,” goes into hock to international banks, faces structural readjustments, privatization of its public assets, decline of social services, higher prices and an even more severe decline in its standard of living. In its dealings with the European Union, Ukraine could not even get concessions for its citizens to find work throughout Europe. The West does not care about Ukraine, or its people, except for using them to seize a strategic advantage against Russia in the geopolitical game of nations. Once, with the help of the West, Ukraine fully weighs in as a “military state” and joins the NATO gun club, its annual defense budget will be around $3 billion, compared with the current defense budget of Russia, which is over $70 billion. Each Western incitement creates a Russian response, which is then given as further proof that the West must prepare for the very conflict it has created, war as a self-fulfilling prophecy. That the recent Russia sanctions bill was advanced, “unanimously,” without debate in the House, portends that our nation is sleepwalking through the graveyards of history, toward an abyss where controlling factors reside in the realm of chance, what Thomas Hardy termed “crass casualty.” Such are the perils of unanimity. Mr. ROYCE. Madam Speaker, I ask unanimous consent that the Committees on Foreign Affairs, Financial Services, Oversight and Government Reform, and the Judiciary be discharged from further consideration of the bill (H.R. 5859) to impose sanctions with respect to the Russian Federation, to provide additional assistance to Ukraine, and for other purposes, and ask for its immediate consideration in the House. The SPEAKER pro tempore (Mrs. Wagner). Is there objection to the request of the gentleman from California? Mr. ENGEL. Madam Speaker, reserving the right to object, although I don’t intend to object, this is a very important measure. We need to send this measure to the President’s desk, and we need to do so tonight. I am delighted that we are doing so. It is clear that Russia is not only fomenting separatism in Ukraine, it is actively supporting the uprising and sending troops to back it up. This is an invasion, plain and simple. I am concerned that the Kremlin’s designs don’t stop with Ukraine. Putin is already putting substantial pressure on our NATO allies and our European friends. We must not bow to his aggression. If we don’t act now, where will we be in 6 months? Where will we be in 2 years? Where will we be in a decade? Since the Cold War, a vision has emerged of a Europe whole, free, and at peace. That reality is within reach. Putin’s aggression puts that future in dire jeopardy. We cannot let that hope die. We need to let President Putin know loudly and clearly we will not stand for his blatant disregard of international law, we will not abandon our friends, and, as the United States, we remain the world’s champion of freedom, democracy, and the dignity of all people. Madam Speaker, I would like to commend the chairman and ranking member of the Senate Foreign Relations Committee for sending the House this bill so that we can stand as one in the face of Russia’s aggression. In the House Foreign Affairs Committee, Chairman Royce and I, as ranking member, have worked together to say that we will not stand for Putin’s aggression. I think this is a very, very important thing to do, very important bill to pass. With that, I withdraw my reservation of objection. Ms. KAPTUR. Madam Speaker, reserving the right to object, though I don’t intend to object, I would like to stand this evening and say, as cochair of the Ukranian Caucus, along with my dear colleagues, Jim Gerlach of Pennsylvania, and the ranking member of the full committee, Congressman Eliot Engel of New York, I stand in strong support of H.R. 5859, a measure that allows America to shine the hope of liberty to the distant land of Ukraine, a measure that we hope to send to the President’s desk very soon, and we need to move it tonight. It is clear that Russia is actively fomenting upheaval and propagandizing in the West about its illegal invasion. It is an invasion, plain and simple, of a sovereign nation. The Kremlin’s designs don’t stop with Ukraine, and we see substantial pressure being placed on our NATO allies and other European friends. Liberty cannot bow to Putin’s aggression. Six months ago, when Russia invaded Ukraine, 4,000 more Ukrainian lives were existing and have been taken. Just according to the U.N. 1,000 additional lives have been lost since the cease-fire that was negotiated in September, and approximately 13 lives per day are being lost. Since the cold war, a vision has emerged of a Europe whole, free, and at peace, and that reality is within reach. Putin’s reckless aggression cannot stand. The United States cannot let the hope of liberty die, surely, in a land where its people have historically suffered more than any other place on Earth. The ravages of World War II still sting their memory and ours, and motivate our actions here tonight. By approving H.R. 5859, America sends a clear signal to the world that we are the standard bearer of liberty at home and abroad. I am very pleased to join my colleagues this evening. I thank the chairman and ranking member of the Senate Foreign Relations Committee for sending the House this bill.